Fewer lines, cleaner surfaces and a high level of precision all heighten the modernity and sophistication of Range Rover Evoque’s design. Flush deployable door handles, optional 21" wheels and Matrix LED headlights with front and rear Animated Directional Indicators give it undoubted presence. Delivering a wealth of information and entertainment, Range Rover Evoque is equipped with our InControl infotainment system, Touch Pro, as standard. It seamlessly links both you and your vehicle to the wider world. 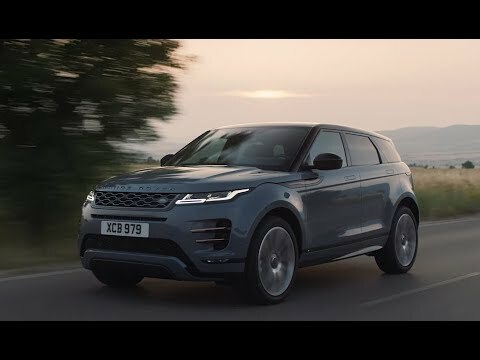 Combining refinement with off-road handling, Range Rover Evoque makes light work of extreme driving conditions through Terrain Response, Wade Sensing and Hill Descent Control. Representative Example relates to a Range Rover Evoque 2.0 D180 5dr 2WD 6.9% APR Representative ordered between 1st April 2019 and 30th June 2019 at participating Retailers only. With Land Rover Personal Contract Purchase (PCP) you have the option at the end of the agreement to: (1) return the vehicle and not pay the Optional Final Payment. If the vehicle has exceeded the maximum agreed mileage a charge per excess mile will apply. In this example, 14p plus VAT per excess mile up to 4,999, or for excess mileage of 5,000 or more, a charge of 28p plus VAT will apply to each excess mile above the maximum agreed mileage. If the vehicle is in good condition (fair wear and tear accepted) and has not exceeded the maximum agreed mileage you will have nothing further to pay; (2) pay the Optional Final Payment to own the vehicle or (3) part exchange the vehicle subject to settlement of your existing credit agreement; new credit agreements are subject to status. Representative Example is based upon an annual mileage of 10,000 miles. Credit is subject to status and is only available to UK residents aged 18 and over. This credit offer is only available through Black Horse Limited trading as Land Rover Financial Services, St William House, Tresillian Terrace, Cardiff CF10 5BH.